Jacques Cousteauhttps://bootsnburbs.blogspot.com/2012/09/membership-cousteau-society.html“From birth, man carries the weight of gravity on his shoulders. He is bolted to earth. But man has only to sink beneath the surface and he is free -Cousteau” (Sport). Jacques Cousteau was one of the first ocean explorers who dedicated his life to the technological innovation and exploration of the largest natural habitat on Earth. He overcame the inherent life-threatening risks associated with ocean exploration and in turn accomplished what no one before him had been able to do. Cousteau was born on June 11, 1910 in Saint-André-de-Cubzac France (Britannica). Jacques had a difficult childhood. He was a frail child and had problems making friends, since he was not good at things that most boys could do, like sports, nor could he easily establish a rapport with his peers due to his shyness. This all took a turn when Jacques discovered his love for the water, “For Jack, submerging into the brown, silty lake was bliss. He opened his eyes underwater for the first time in his life, and even though he could only see a few inches in front of his face, he was relieved to be insulated from the world above with its… pack of jeering boys” (Matsen). As Cousteau grew, his love for the water led him to become a French Naval Officer after graduating from Collége Stanislas (Cousteau). After being in combat for 6 years, Cousteau couldn’t bear to be away from his ocean. His passion for the ocean led him to invent much of the groundwork for the advanced ocean exploration technology we currently employ today. This includes devices like the underwater camera, which allowed people to see the unknown ocean, and watch things like “A humpback whale's skin as it glided serenely by, or stare through shark-cage bars as a great white bore down to investigate out of the deep blue depths” (King). The invention of these cameras allowed Cousteau to make 65 films about the ocean, culminating in The Silent World and The World Without Sun, both films which won the Academy Award for Best Documentary in 1956 and 1964, respectively. Not only did he make movies, he also wrote, “His first book, The Silent World, sold more than five million copies in twenty-two languages” (Jacques Cousteau). Before Cousteau died on June 25, 1997, he founded the Cousteau Society, which was an “International nonprofit organization is dedicated to the study and preservation of our Water Planet, as Cousteau liked to call Earth” (King). The society “Continued to carry out unique explorations and observations of ecosystems throughout the world that have helped millions of people understand and appreciate the fragility of life on our Water Planet” (The Captain). The broad definition of a hero can be subjective and at times, debatable, depending on the individual. To some, a hero is someone who displays selflessness while to others it may be someone who demonstrates courage in the face of danger. In his lifetime, Jacques Cousteau embellished both these traits, whether it was experiencing the countless brushes with death in his quest to explore the depths of the unknown to enlighten the public about preserving the wonder and beauty of the ocean. Jacques Cousteau has earned the distinction to be called a hero. 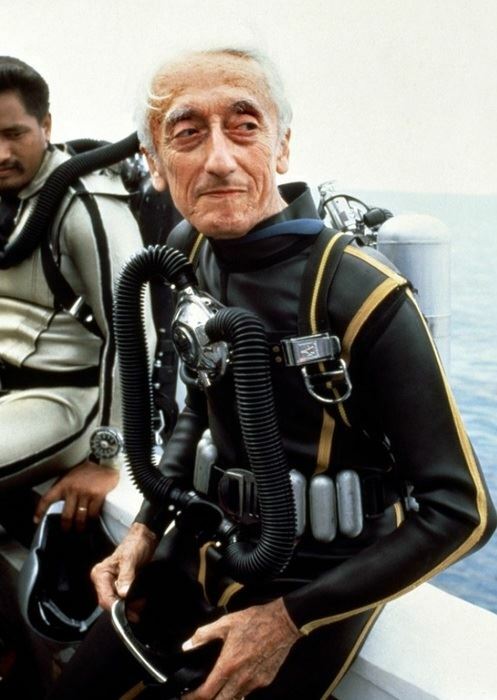 Cousteau wearing the Aqualunghttps://manteresting.com/nail/jacques-cousteau-1967-wearing-aqualung-first-commercially-successful-scuba-set-which-he-co?ovr=1Being courageous when facing imminent danger can be a hard thing to do; however, Cousteau persevered through this roadblock and achieved great things because of it. Even though Cousteau was primarily known for being an ocean explorer, he also served his country during times of war. Cousteau “Served in World War II as a gunnery officer in France and later was a member of the French Resistance Against the German occupation of the country” (Britannica). War is something most of the people in the world would not want to be a part of, however along with many beside him Cousteau risked his life to protect his country. This courage gained from warfare is what helped propel him to overcome any initial hesitation as he continued his quest to bring the knowledge of the ocean to the world and not be afraid of what might happen to him. During the 1950s and 1960s, Cousteau established a series of corporations and nonprofit organizations through which he financed his explorations, promoted his environmental opinions, and championed his reputation as the world's foremost underwater researcher and adventurer” (Jacques Cousteau). Exploration of the ocean was a very dangerous and risky endeavor. His courage allowed him to explore the ocean fearlessly and branded him as one of the most well-known ocean explorers to this day. In Cousteau's time, there was no known technology that could protect Cousteau due to several factors such as solving issues with increasing water pressure at deep depths and creating and experimenting with new equipment. Even though Cousteau was brave to attempt these explorations, a constant problem remained for Cousteau; the need for oxygen. Cousteau attempted to fix this issue when he ¨Tried different air mixtures, including pure oxygen. On a few occasions, he and his companions nearly died during these experimental dives, either because the air they were breathing was dangerous beyond certain depths (as is the case with pure oxygen) or their equipment failed. Indeed, each time they dove underwater was a new and potentially dangerous experience¨ (King). Cousteau wanted to find a way to explore the unknown ocean, even if it meant risking his life. Cousteau eventually fixed this complication by creating the aqualung, which allowed divers to breathe underwater, resulting in a longer and more efficient dive. His valiant efforts to develop a method to have breathable oxygen underwater, even under life threatening circumstances exemplified true bravery. 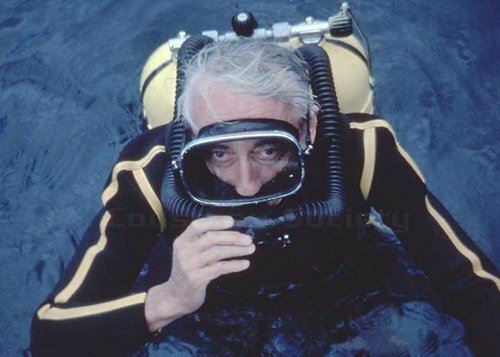 Cousteau coming up from a expeditionhttps://www.undp.org/content/undp/en/home/presscenter/articles/2017/06/08/honouring-the-memory-of-jacques-cousteau.htmlOne of the most important goals for Cousteau was to inform the world about the wonders of the ocean. While exploring the ocean on the Calypso, Cousteau had now seen that “The lush habitat for plants and animals was becoming a polluted soup spoiled by the rules of tens of millions of people crowding it's shores” (Matsen). The lack of care and regard for the ocean made Cousteau furious since the ocean provided him so much comfort as a child. He knew that if no one did anything, the ocean he loved and adored so much would soon be destroyed. Cousteau knew he needed to do something drastic to save the ocean. Although Cousteau had all the tools needed to explore the ocean, he had no way to document the horrific things humans were doing to it. Cousteau soon fixed this problem when he “Developed underwater cameras and filming techniques” (King). People could now experience underwater exploration with Cousteau. The development of these underwater cameras was crucial because without them, Cousteau could not show the devastating effects people’s behavior had on the ocean. Now armed with the ability to have breathable oxygen underwater and cameras to record and document the ocean habitat, Cousteau could finally bring the ocean to a world-wide audience and personalize its narrative. 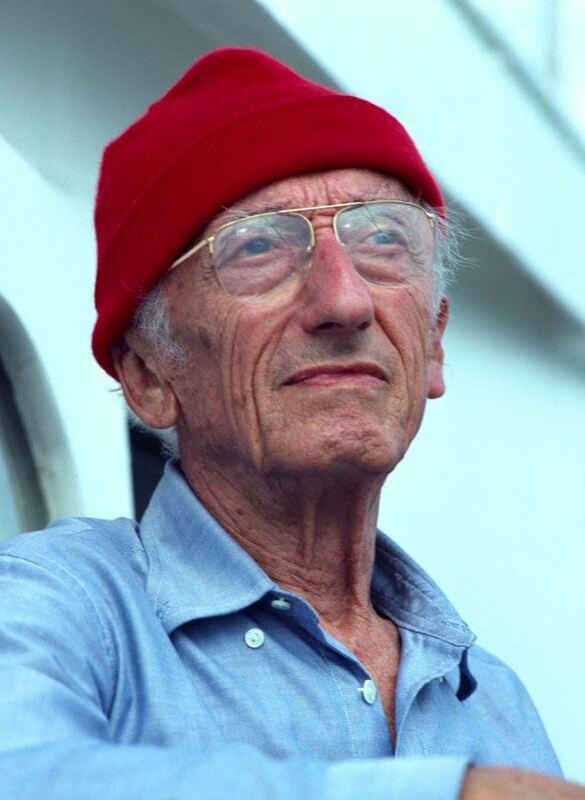 Cousteau ¨Spent most of his life exploring the Earth's oceans and capturing their wonders, secrets and frailties on film for a worldwide television audience¨ (Jacques-Yves). Cousteau wanted people to know about the ocean and why he was exploring it. His films introduced a completely new and unknown world to the audiences as it was something most people had not seen before and enabled them to feel and experience Cousteau’s sense of wonderment at the beauty and richness of life in this almost surreal terrain. The films also brought to light the tremendous damage caused by the human population to our ocean ecosystem and raised awareness for people to be more careful with this incredible resource. Jacques Cousteau, one of the most famous ocean explorer and researcher, single-handedly transformed the way people think about our ocean habitat. He brought an unknown world into our living-room and personalized the experience and bond people now have with the ocean. Cousteau’s passion and love for the ocean, coupled with his curiosity and courage, propelled him into a life dedicated to the understanding of ocean ecology and the preservation and protection of its inhabitants. For example, he made films and authored books detailing not only the wonders and beauty of the ocean, but its importance to mankind. Cousteau has inspired not only myself, but countless many others as well over his lifetime by showing that we need to take care of the ocean. He “Was also active in the movement to safeguard the oceans from pollution” (Jacques-Yves). It is a fact that many people don't care about the ocean. Plastic is the main source of pollution that humans create, which “Kills fish, birds, marine mammals and sea turtles, destroys habitats and even affects animals’ mating rituals, which can have devastating consequences and can wipe out entire species” (Lonne). This pollutant eventually ends up causing harm to humans who eat fish that were exposed to the very pollution we created. Without Cousteau’s research, much of what the ocean provides to mankind would have gone unnoticed and the ocean would be in a much dire state. Jacques lifelong work also has brought about an awareness and interest in marine biology to an entire generation. My favorite subject in school has always been biology, the study of life. Marine biology is especially interesting to me because I've always loved the ocean and learning about it. Lots of the knowledge we have today wouldn't have been possible without Cousteau. He is an inspiration because he never let fear overcome his desire to study and understand the ocean. Although many may remember Cousteau as just a simple ocean explorer, he is so much more. He is a true hero who not only pioneered ocean research, but also truly impacted and transformed the way people regard the ocean. and Conserving Our Natural World. Bloomsbury, 2008. World, Jan. 2000, p. 6. EBSCOhost, search.ebscohost.com/login.aspx?direct=true&db=b6h&AN=9210922&site=brc-live. Lonne, 12 Apr. 2016, www.alternet.org/environment/infographic-how-ocean-pollution-impacts-marine-life-and-all-us. Matsen, Brad. Jacques Cousteau: The Sea King. Pantheon Books, 2009. “Sport: Poet of the Depths.” Time, Time Inc., 28 Mar. 1960, content.time.com/time/magazine/article/0,9171,826158,00.html.